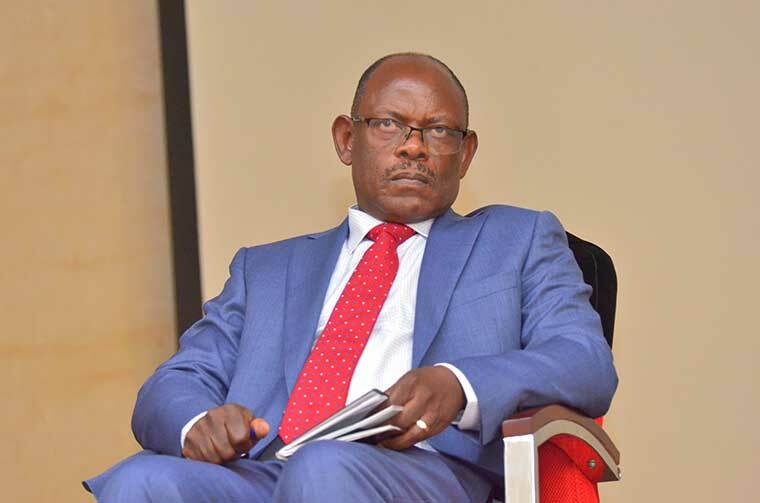 MAKERERE – Makerere Vice Chancellor Prof Barnabas Nawangwe has in a fresh dossier on weekend attacked the embattled Makerere staff association boss Dr. Deus Kamunyu Muhwezi, accusing him of making the University ungovernable. Prof Nawangwe also refutes ‘allegations’ on staff WhatsApp Groups that the University Management is fighting MUASA and other Staff Associations. “This is not true at all! We appreciate MUASA and all other Staff Associations in respect to the important role they play in the University,” says the VC adding that Dr Kamuny’s suspension has nothing to do with his position as the Chairperson of MUASA. Nawangwe insists that Dr Kamunyu was suspended for his ‘personal’ offenses and these were clearly highlighted in his letter of suspension. “My predecessor, Prof. John Ddumba Ssentamu gave a written warning to Dr. Deus Kamunyu Muhwezi for activities that tarnished the reputation of the University and colleagues; in April 2018, I gave a warning to Dr. Deus Kamunyu Muhwezi for activities that tarnished the reputation of the University and colleagues; I have counselled Dr. Deus Kamunyu Muhwezi on several occasions about his un-becoming conduct in the University,” he noted. “It is very unlikely that all the three of us, Prof Wasswa Balunywa, [Prof John] Ddumba and [Prof Barnabas] Nawangw are malicious to one individual,” he said. In June this year, Deus Kamunyu ran to the staff e-mail listing to report harassment and intimidation by Prof Nawangwe. Dr. Kamunyu, in an e-mail circulated to all staff reported Prof. Nawangwe’s letter, addressed to him not as Muasa Chairman but as a lecturer in the Department of Forestry, Biodiversity and Tourism at the University was not surprising because he had received prior waning that management planned to clamp down on the staff association leadership to kill its zeal in inquiring into the university affairs. On Monday evening, – Makerere law lecturers jointly blasted Prof Nawangwe for illegally suspending associations’ heads. The dons in a statement condemned the Vice Chancellor’s decision to suspend the three Association leaders, saying it is unlawful and unconstitutional. University staff two weeks ago resolved to strike demanding unconditional lifting of the suspension of Dr Kamunyu who was suspended on January 17, by the Prof Nawangwe for misconduct.